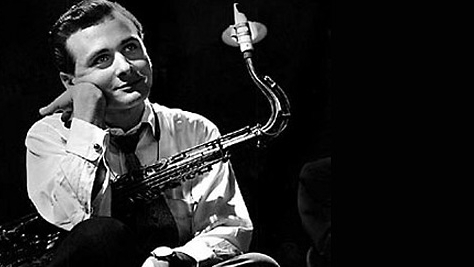 As a feature of Stan Getz, it is the sound of his tenor saxophone first. Even with the same tenor saxophone, the sound of Getz is thin, it sounds like a squeaky feeling, compared to the rugged sound of stretchy, thick, expansive, like Sony Rollins. Although it is not strong in Rollins, it can be said that it is a soft, fine and smooth texture of fine texture. Especially since Gotts used heavy treble frequently, its impression is getting stronger. Instead of trying to make the blowing breath like the Rollins all sound and making it bigger, instead of that, the breath not being that sound is doing a variety of works, that means that they are doing such sounds . And I think that his way of playing, that is, his improvisation is the overwhelming feeling "now and here". This is not a preliminary nor a retrofit but a miraculous thing that the moment music is generated by improvisation is presented to the listener as it is, which is becoming a beautiful piece of music. The instantaneous flashing means that an easy-to-understand and beautiful melody will spring up naturally, and if you do it inexperienced, you can not understand what was spun out improvised by its perfection. Surprisingly, it is too natural that you can directly hit the thrill and tension that you do not know about the future as you would witness in Charlie Parker's ad lib. I guess that's why Getz is called "cool." That means that the phrase produced by his improvisation played just by the musical beauty. There is no kind of deception like relying on the emotional element, sentimental sweet melody or effect of minor code, or decorating the sound like vibrato or shadow. So it may be said that cool, but his spinning melody is purely beautiful. 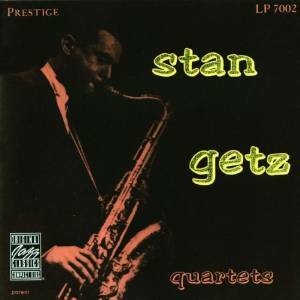 A saxophonist named Stan Getz is a genius who can unwind without misunderstandings a great phrase improvised with the imagination of the spot one after another. Although he changed his style of play during his long period of activity, he has not changed what is a genius-based talent. And, it is the initial recording that you can listen to the performances per body with a single match with only his genius-inspired inspiration. The sound of early recordings can enjoy the smart, sophisticated and fragile sound. That's his cool jazz. Let's listen to the album. The first song "There's A Small Hotel" to the fourth song "Too Marvelous For Words" was recorded in January 1950, and it's all a wonderful performance. At 'There's A Small Hotel', the introduction of Al Haig's damp-like piano is singing anything. And, as encouraged by the piano 's light tempo, it starts as a floating Geto' s solo floats on a swingy rhythm. Getz's saxophone uses a versatile tone, and each time its tone changes its phrase changes. It's a dazzling and dazzling play as if multiple gets are playing. The third song "What's New" is a popular ballad. Sachs of Getz stands out transience with a delicate, soft sound, but it is never Yawah. The phrase that he is doing improvisation is so perfect as to think that he is playing along the score, and it seems that it is rather too much. From the 5th song "You Stepped Out Of A Dream" to the 7th song "My Old Flame (alternate take)", and the 12th song "The Lady In Red" was recorded with different members in April 1950 . Since the position of the microphone, the studio and the equipment are different, we can hear the saxophone of Getz directly in the vicinity with a dead resonance. This recording is somewhat different from other soft and pleasing sound quality. 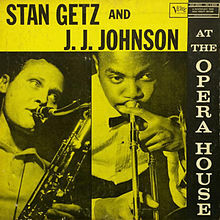 The recording of "You Steeped Out Of A Dream" is said to be a definitive version that was considered as a masterpiece of Stan Getz. In ad lib from a gentle theme with a soft faux tone, he is overwhelming with playing out such a phrase so much as to keep the moist mood of the theme from being destroyed. From the eighth "Long Island Sound" to the eleventh song "Crazy Chords" was recorded in June 1949. 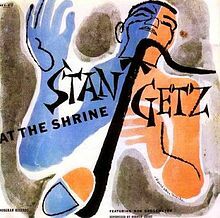 In "Long Island Sound", Getz playing somewhat hot songs with light tempo. In the next "Indian Summer", he is blowing down in the medium tempo with ahead. His performance recorded at this time is generally hot. 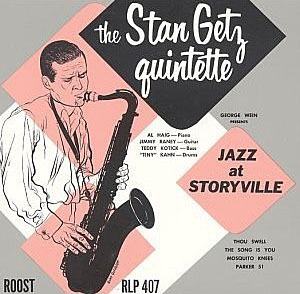 Stan Getz was labeled as a genius tenor by white people, the founder of cool jazz. And this recording has a high reputation as the record of the height of his early cool jazz. But if you learned such a reputation and listen to this album with the ear that you listen to the modern jazz play later, you will probably feel that it is not hard enough. Because the songs are short and finished soon, and the sound of Getz in the very heart is a scusca and a weak impression. Speaking of classical music, it is something I feel like when I listen to Mozart by listening to a large, long symphony of the scale of the late Romantic school such as Mahler and Bruckner. Even in the guide book of jazz etc, and in the recording of Gets, this album is written as hard to listen to, and it is recommended as hit album which played bossa nova of later year. Haruki Murakami has praised this stun gets live recording. "Everything included here is wonderful beyond every expression, although it is a monthly expression, but here is a nourishment that is exhausted, for example, listen to" Move ". The rhythm section of Al Haig, Jimmy Rainie, Teddy Cody and Tiny Khan is breathtakingly perfect. Simple and cool, and at the same time, they are unified together with a hot rhythm like lava in the ground. But far beyond that, the performance of Goetz is brilliant. It freely goes through the sky like Tenma, pays the clouds, and discloses the stars full of brightness that is so vivid that it hurts the eyes in front of us in an instant. The brilliant swell, beyond the years, hit our hearts violently. Because a song there is a merciless awakening of the group of starving wolves secretly hidden in that soul. They exhale the white, silent breath of the beast into the snow. A white, hard, beautiful breath enough to cut off with a knife for the hand .... And we quietly see there the destructive cruelty of living in a deep soul forest. Please forgive my translation. I do not have such a feeling as Murakami. However, I am fascinated by Gets' s performance in this live. Here, Goetz is playing saxophone in a cool, stylish manner, scrutinizing a beautiful melody. He plays a sweet melody to run like a midrange to a high region. He plays tenor sax as a "gentle wind instruments" without being heavy, like a player of a modern jazz later, stagnating, stagnating, or blowing. Those who listen to his performance are made to feel warmth, as if there were no obstacles or the like there. On the other hand, there is a feeling of being embarrassed somewhere in his warmth. I can say figuratively about his music as follows. Music that is opposite to open-minded music, the music of the night - music at the club of late night, following someone's back, expressing coolness and melodious at the same time. In the first "Thou Swell" he changes the sound of saxophone and plays as if the two players are engaged. If you listen to this, you will feel casual humor and you will be in a relaxed atmosphere. "The Song Is You" is a light and fun play with a fast tempo. As the guitar entangles, the two horns present themes like a multiplayer. After that, Goetz will develop ad libs quickly. His improvisation is a relaxed thing out of the power of the shoulder, and it changes to a new phrase one after another smooth like a soft velvet flow. It is a masterpiece. His improvisation, like dancing, singing ... continues. "Mosquito Knees" is also a quick number that will fold. The performance of Getz here, in terms of the sense of speed of phrases, the number of sounds that are crispy, will not be something to take in participating in later battle. Besides, the song is filled with the fine fast phrase. The fifth song "Move" is a song that is also acclaimed by Haruki Murakami. The saxophone of Goetz is running along with the rhythm section. It seems that all of the phrases that come out as "Pappa Lapar" will sing from that run. There is nothing like to just show off just the speed and technique that is fast. That's why it's fun. And in "Parker 51", it seems that all players will further raise the tempo and boldly advance around the limit of speed. The pleasure of delivering various ideas in his performance there is noteworthy. Despite continuing two songs and playing at the limits of speed, he plays it in a light and cool way like a joke like hardly feeling the heat and intense like hot blood. On the other hand, the guitar is also a melody. The rhythm unit also has an irregular rhythm. Other players like Kori set various musical dialogues with Getz. He spits out a wonderful ad lib phrase to respond to them. The sound of his saxophone at that time was small, it was tingey, lacking in strength. For example, compared with Sony Rollins in the second half of the 50's, Getz is soft, but it will make me want to describe "Hyoro-Hyoro" which makes the sound skip through. However, although the sound of Sony Rollins is suitable for a powerful and rugged black hard bop, the sound of Getz is different from Rollins in its intended direction. Getz pulls out a phrase that can only be described as good sense with freely developing the theme using the original melody of the theme, with a silky tone color with a unique soft touch of fine texture. Perhaps his stylish phrase is something like an intuitive flash that springs up naturally. In terms of taking advantage of such "flash", Gets is in common with Sony Rollins. And he is awesome when a good "flash" has gotten. He also breaks down the original melody in the theme part, but it creates a phrase that makes the best of the former melody properly. And once you go into ad lib, he creates phrases that are fun to play and unrepentant, one without hesitation, and one that sings spectacularly. His phrase is wonderful, of course, lyric phrases in slow ballads. Beyond that, when he creates a staggered phrase with speed at a rapid tempo, we can witness the scene where truly lively music comes up there. The phrase blown by Getz has never been felt mechanically. It is a natural phrase born by his flash. He blows saxophone in a natural tone that seems as if "it sounded like that". In his performance, these two elements are quite uncomfortable and blend naturally. In other words, he himself created a phrase that matched his own sound. In other words, it created a tone that matches your phrase. Then, once he blows his tenor, even if it is a theme or an ad lib, there really is a "natural song" overflowing there. After the introduction of a brilliant moderator, the gets start playing the first "Flamingo". Following a short intro by the piano, Getz and Brookmeier begin playing the theme lightly in an ensemble. The ensemble of the two wind instruments is an intertwining interaction. After that, Goetz improvises the phrase one after another, so that it derives from the theme. It is a series of spinning threads. Besides, these phrases are melancholic enough to think why you can do this in a range that is not as wide as possible in the midrange. The tempo during that period is maintaining rapid speed. In "Lover Man", Getz and Brookmeier play a theme in an ensemble at a medium tempo. Goetz makes two ensembles charming while complementing Brookmeier well. "Pernod" returns to a light tempo. Getz improvises a beautiful melody based on a light up tempo than slow ballad. By playing a beautiful melody at high speed, he avoids the performance falling to centimeters and becoming heavy. He thinks that it is easier to play beautiful phrases one after the other with faster tempo than playing with emotional cotton at slow tempo. I touched another place, but since Getz is an enchanted person, I think that if the tempo slows down, I can afford a margin and consider extra things. On the contrary, I think that when he is fired at a fast tempo, he will have to rely on a flash and his sense will be sharpened. To write below is to mention only with the impression that I personally heard the recording of Gets, so please think that it is a delusion unrelated to empirical facts such as what kind of person Stan Getz actually was. Somewhere on this page, I mentioned that Goetz will flash a beautiful phrase in improvisation. And a person other than him cannot create a beautiful phrase like a flash like he does. If you can, you cannot continue to create one after another, as the phrase always overflows like him. That is why people struggle to create phrases or suffer from being unable to create. Ordinarily, the hardships and anguish that a musician does is in somehow trying to create a phrase that cannot be created easily. He treats it precisely because it is a phrase created by struggling to do so. He will use the phrase he creates many times. Some people do not throw away phrases even if they become obsolete. However, in the case of Getz, there was no need for such hardships. In his case, even without a special hardship, I usually come up with a beautiful phrase. Besides, the phrases I came up with are all beautiful, not others. He is a genius. That's it. However, if such a group were to be formed together, what about the surrounding members, I do not want to do it. Anyway, because you finally got the phrase you finally got through with difficulties, saying that Getz had thought of it now, it will easily play more beautiful phrases beyond that. In addition, what about the audience being heard from it? Can we go about the continuous attack of beautiful phrases? Every time I am drunk for that beauty, I am gradually getting full and do not mean that it is enough anymore. It is not that I get tired. The beauty of the phrase that Gets creates is not that easy. If you can get bored, you will not be able to accept it because you are scarred. But Getz 's music is beautiful, so do not get bored and accept it if you listen. In other words, it does not allow the listener to accept it. This is a hell to the listener, even if you are full, even if your belly ruptures, you cannot stop eating. This is an extreme writing style. I feel that the beauty of the music of Getz has such dreadfulness and harm. So, I think his performance is the easiest to listen to the members who are playing together, while breathing, such as something that gets suddenly lacking a brace in appropriately flashing. Therefore, I think that it is often a high-speed number of up tempo, that Getz does not provide much flashy, often suppressed balanced, easy-to-hear performances. I think that Getz's album which I introduce on this page will become easier to listen to according to the general criteria as it goes down. Generally, it is said that Getz has become a hot trend from the early cool jazz. Getz's performance in this album is hot, it is also called live. This album was recorded in 1957. Getz this time had a longer performance time than in the early 1950s. Each song has a long performance time nearly doubled. And the sound of Getz's saxophone is changing from a delicate sound in the first half of the 50' s to a thick sound, though not strong at this time. And although the sound quality of his saxophone is as smooth as it is on the surface, it shows sometimes ruggedness and contrasts smoothness and emphasizes it. Speaking of baseball, the fastball pitcher is the same as occasionally throwing a slow change ball and showing the fastball more quickly than it actually is. For that reason, I think that this album is easy to listen to. In the first "Billie's Bounce", the rhythm section is full of swing feeling and driving. So, Gets is still playing with a fluent ad-lib. Besides, in order to ensemble with JJ Johnson, we limit the materials used in ad libs, and repeatedly use the phrases that we abandonly abandon if we used before, and are changing variously. This is normal for other players, but it is unusual for Getz to do something like that. In the album introduced above, Gets was not so. But JJ Johnson is a player dealing with phrases carefully, so get is tailored to him. Therefore, Getz sometimes not only flows the flow of music just smoothly but also puts a fake, and intentionally stops the flow and makes a change such as changing. As he cherished the flow, the impression of the whole performance changed. His performance here is not a big fake, but sometimes there is something to get stuck in, so it's sharp in tension and relaxation even in play. Due to the change in impression arising from this, it was said that his performance began to change from cool to hot jazz. "My Funny Valentine" is a famous standard number. On the medium tempo he plays melodies lightly in accordance with the groove of the rhythm section that swings. That situation is full of fun. "Crazy Rhythm" is a play of the noodles as the title. Up to now I have written the feeling of swing in the rhythm section, but I feel the atmosphere of dolly music like a dance music before a period, rather than a hard and rugged urgency Nori of a bop, that seems to dance happily It is. So even if the title is crazy it is not madness but nuance like going dancing. Such atmosphere is perfect for the performance of Getz here. Even in "Blues in the Closet", getting into a hot game, Getz will show off several times, from a service spirit to blowing out this way. Moreover, Getz who has chosen the sound in the narrow range of midrange range will make it leap.